BOULDER, Colorado, June 2, 2017 (ENS) – Citing the threat to human health from radioactive and toxic contaminants at the former Rocky Flats nuclear weapons production facility, five Colorado groups have filed for a preliminary injunction to block federal agencies from building public trails and a visitor center on the site. The motion filed Wednesday in U.S. District Court in Denver alleges that the site’s current manager, the U.S. Fish and Wildlife Service, FWS, has failed to conduct legally required analyses of environmental risks and policy options. Secretary of the Interior Ryan Zinke and FWS Acting Director James Kurth are named as defendants in the lawsuit. If an injunction is not granted, construction is scheduled to begin in June on the site about 15 miles northwest of Denver on a windy plateau. “If planned construction were to proceed before the proper environmental analyses are complete, plutonium and other hazardous substances on the site could be disturbed. People could be harmed through exposure to these contaminants,” warned LeRoy Moore a consultant with the Rocky Mountain Peace and Justice Center. Plutonium is extremely carcinogenic, with a half-life of around 25,000 years. During the three decades between the plant’s shutdown and the present, Congress created the Rocky Flats National Wildlife Refuge out of lands surrounding Rocky Flats’ highly contaminated central operable unit, the COU. The Fish and Wildlife Service now wishes to open the 4,883 acre “refuge” to the public with hiking, biking and equestrian trails, and a major visitors’ center, despite new developments and evolving evidence that the plutonium has migrated beyond the COU. The FWS has been conducting private tours on the refuge for the last two years and wants to open the “refuge” to the public in the summer of 2018. But the evidence presented in court includes surveys indicating higher than expected cancer rates among neighbors, unprecedented precipitation events in 2013 and 2015, and information discrediting assumptions made in 2006, when the last comprehensive sampling was done, concerning the inability of the plutonium to migrate beyond the COU. Other plaintiffs include Candelas Glows/Rocky Flats Glows, the Rocky Flats Neighborhood Association and the Environmental Information Network. From the mid-1950s, Rocky Flats manufactured plutonium components for U.S. nuclear weapons. In June 1989, the Federal Bureau of Investigation raided the site for alleged violations of environmental laws. The plant shut down and never reopened. 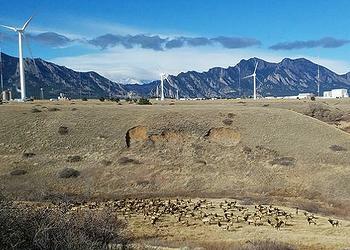 Parts of Rocky Flats are on the Superfund list of the nation’s most polluted sites. Radioactive and toxic materials contaminate soils and sediments. Questions about the accuracy of past sampling for plutonium remain unanswered. The plaintiff groups point to recent reports of excess cancers among neighbors. The lawsuit is based on alleged violations of the National Wildlife Refuge Systems Administration Act, the National Environmental Policy Act, NEPA, and a 1977 Executive Order signed by President Jimmy Carter protecting wetlands. NEPA, requires public involvement to review decisions that affect the human environment. Federal agencies must explain the impact of their plans and justify all reasonable alternatives to proposed actions. action under NEPA, by either preparing an Environmental Assessment, an Environmental Impact Statement or a Supplementary Environmental Impact Statement . The Rocky Mountain Greenway, a collaboration between federal, state and local governments announced in 2012, is envisioned as a continuous trail or transportation corridor from the Rocky Mountain Arsenal to Rocky Mountain National Park. 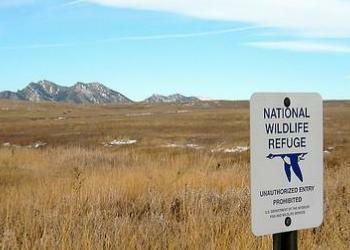 In 2016, the FWS revised its trails plans to incorporate the Rocky Mountain Greenway’s trail section through the “refuge,” abandoning the previously planned routes around the perimeter. To adjudicate these issues, the plaintiff groups are demanding a jury trial.